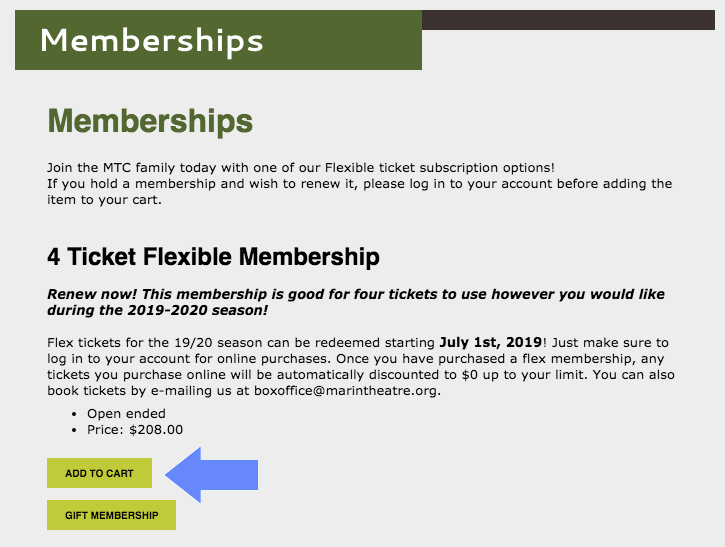 Subscription renewals for the 2019/20 season are on sale now—and renewing online just got that much easier! Login to renew your Fixed Series Subscription today! Each 6-play, fixed series package includes 1 ticket to each of our 6 main stage productions in the 2019/20 season. 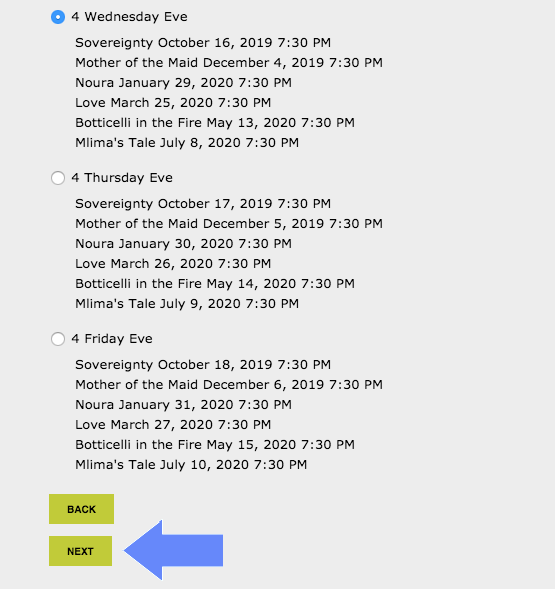 Each fixed play series is based on day of the week & show time, so you can select the series you want to subscribe to based on your favorite day of the week to go to the theatre! If you cannot attend one of the shows in your series due to a scheduling conflict, you can always exchange to another performance during the production run, based on availability. If you exchange to another performance that is the same price, no exchange fee will be charged. If you choose a more expensive performance, you will be asked to pay the difference. 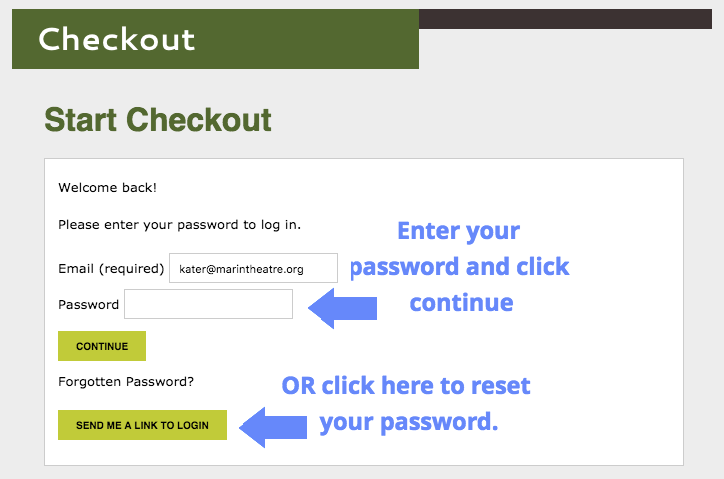 Expand the selection below for instructions on how to login to your account and renew today! Step 1: Login to your account! Step 2: Accept your renewal offer! 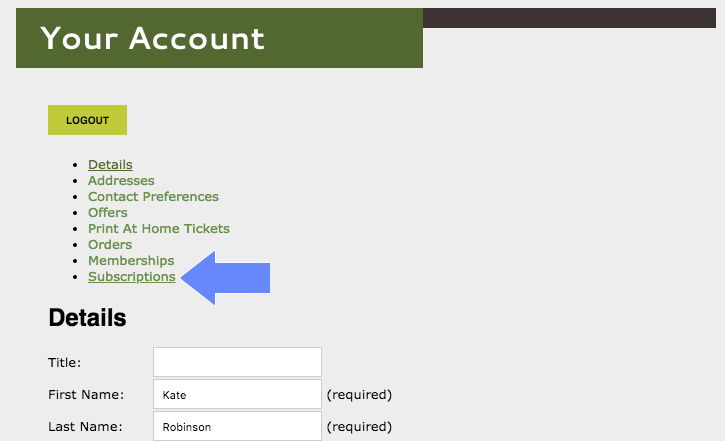 ^^ If you do not see the above screen when logging in, you may see the below screen—click on SUBSCRIPTIONS. Then click on BUY SUBSCRIPTION. 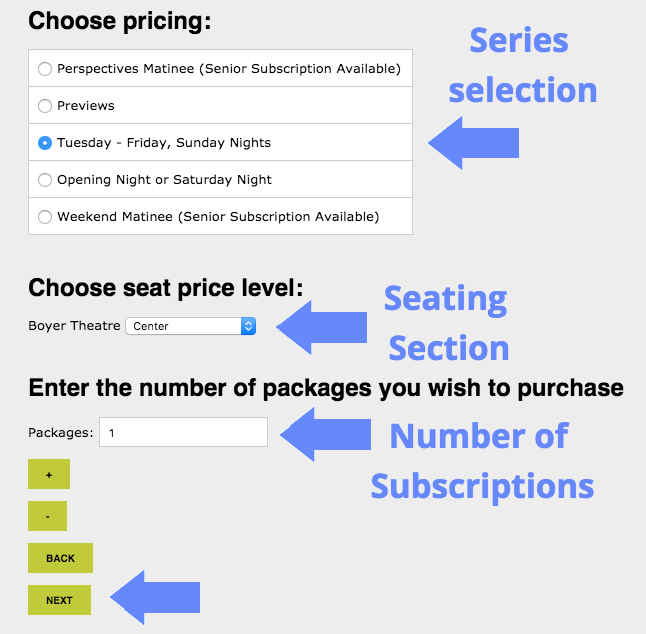 Step 3: Update your subscription series (by price), seating section or add / subtract the number of subscriptions you wish to purchase, OR keep your same subscription as this season, and click NEXT. Step 4: Update the day of the week you'd like to attend, OR keep your same subscription as this season, and click NEXT. 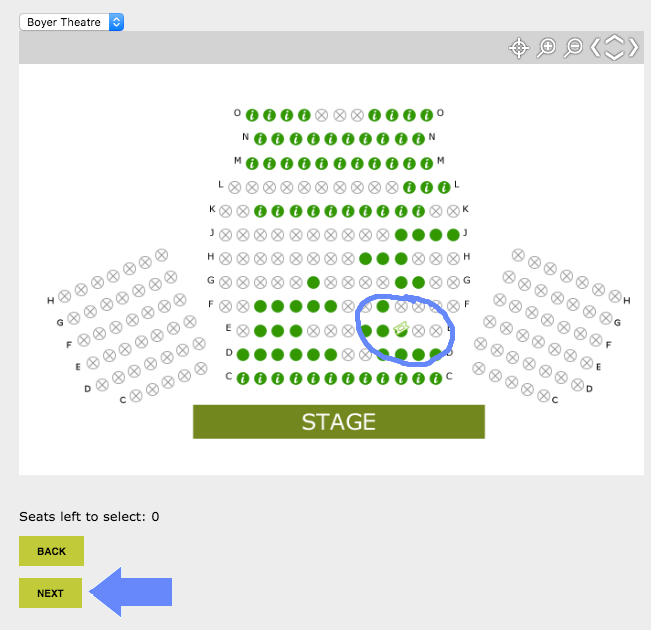 Step 5: Choose new seats from the seating chart, OR keep your same seats as this season, and click NEXT. *your seats from this season will appear on the seating chart with a small ticket icon. Step 6: Confirm pricing and click NEXT. Step 7: Review items in your cart and COMPLETE CHECKOUT! Renew your 19/20 Flexible Membership today! Each ticket in your 4-or-6-ticket flexible membership can be redeemed towards any performance of any production within our 6-play main stage season. What that means: you can redeem all 4 or 6 tickets on ONE show—bring the whole family!—or you can spread them out across shows, i.e. 2 tickets to one, 2 tickets to another, etc. 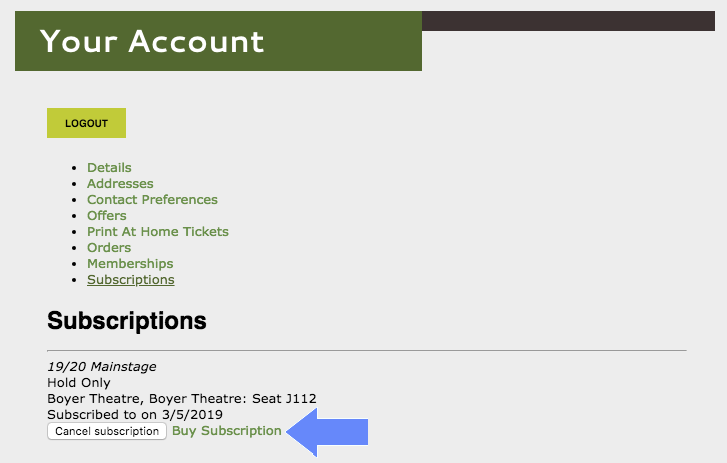 If you redeem your tickets to a performance but then are unable to attend that performance, you can always exchange to another performance during the production run, based on availability. Plus, because flexible membership tickets can be redeemed for any performance date / show time, you will never be charged an exchange fee. Ever. 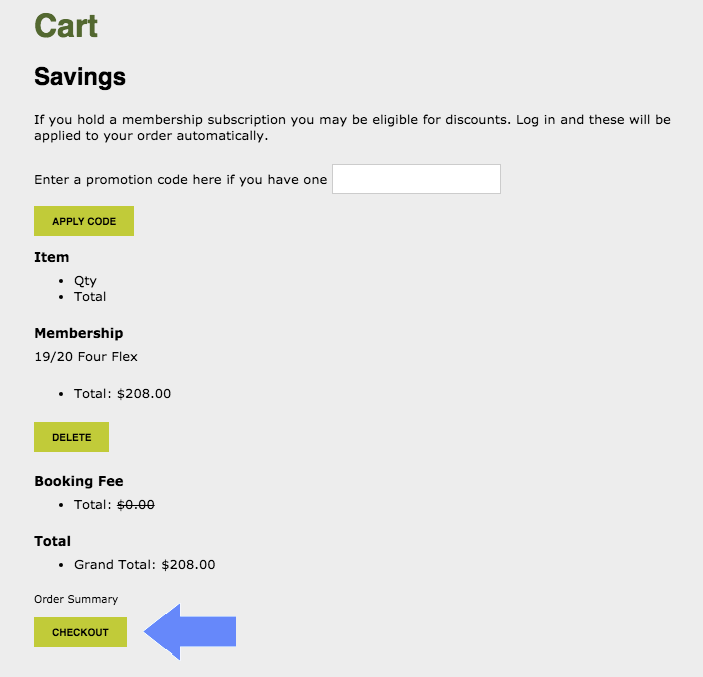 Step 1: Go to the MEMBERSHIPS PAGE to select the 4 or 6-ticket membership of your choice and click ADD TO CART. Step 2: Review/edit the items in your cart and click CHECKOUT. 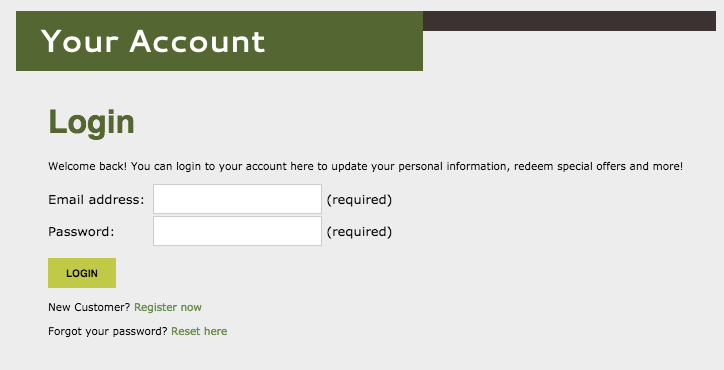 Step 3: Enter your email address to login to your account, and click CONTINUE. *You will next be prompted to enter your password; do so and click CONTINUE. If you can't remember your password, never fear! Simply select, SEND ME A LINK TO LOGIN, check your email for the link, follow the instructions to create a new password, and proceed to login to your account. 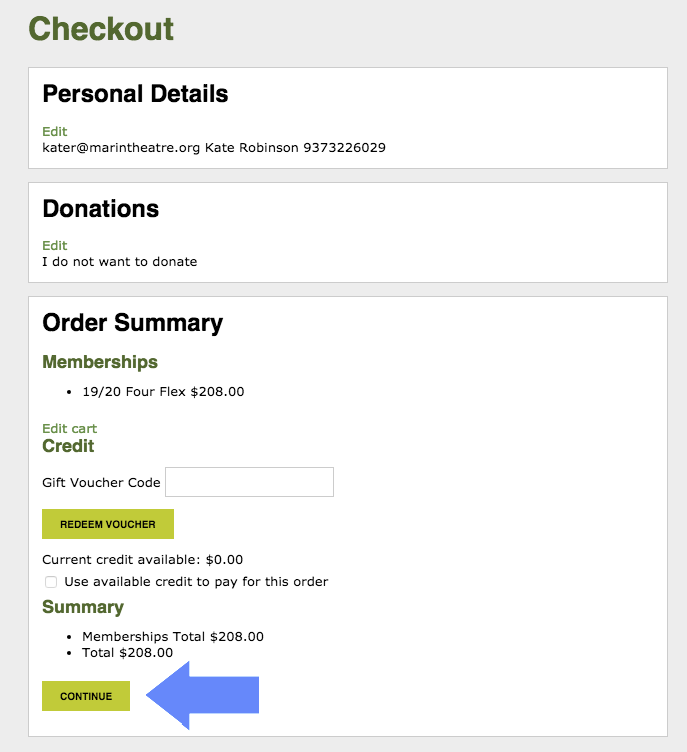 Step 4: You will be asked to add a donation to your membership purchase—this step is optional! 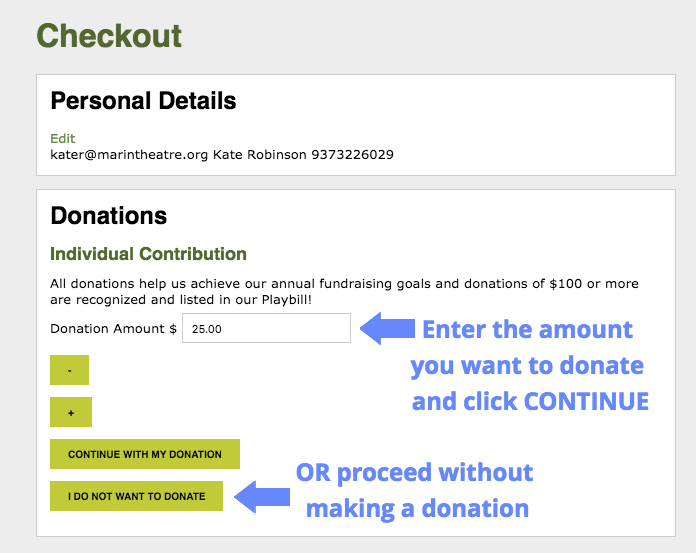 If you'd like to add a donation, you may enter in the dollar amount you wish to donate, or click I DO NOT WANT TO DONATE to continue. Step 5: Review your order total and click CONTINUE. While membership renewals are on sale now, you must wait until July 1 to redeem your tickets for the shows of your choice. Please contact the friendly MTC Box Office if you have any questions about this process! Keep your eyes on your mailbox this March—your 2019/20 renewal forms are being mailed out soon! Questions about renewing or becoming a new subscriber? Contact the Box Office today! *If you can't get through by phone, be sure to leave a voicemail and we'll get back to you ASAP! Subscribers get the best perks! SAVE MONEY: Enjoy savings of up to 25% OFF + save on additional single tickets purchased throughout the season. BEST SEATS: Exclusive pre-season access to the best seats in the house + keep your same seats when you renew each season! LOST TICKET REPLACEMENT: Complimentary ticket reprinting if your tickets are lost or stolen before your scheduled performance date. UNDER 35? Subscribe to any 6-Play package for only $120! "Marin Theatre Company has become the Bay Area's home for new American plays."